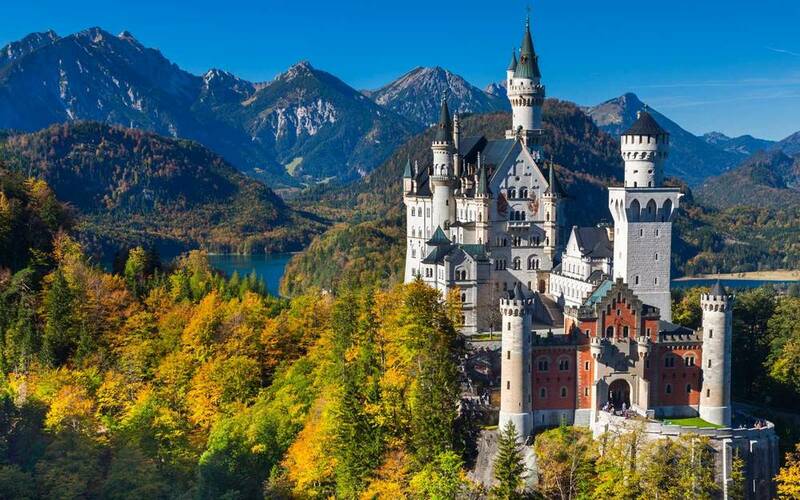 As part of our 2020 pilgrimage to Oberammergau and Bavaria we will be visiting two of Ludwig II’s most famous castles – Neuschwanstein and Herrenchiemsee. 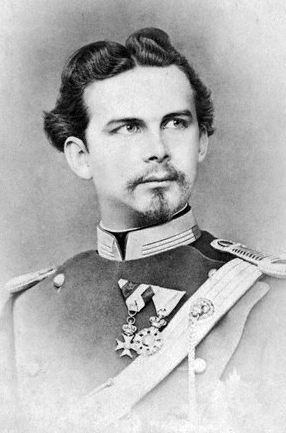 Ludwig II is probably one of the most famous kings of Bavaria. He became king at the age of 18 in 1864. He was a very shy man of incredible artistic sensibility, religious faith, and creative energy. He was probably not best suited by temperament to the role of a head of state, and found the life of court and government incredibly draining and confusing. He yearned for privacy and space in which he could reflect, read, write and be free of the cares of office. To that effect, he commented a large building programme of beautiful castles, which he hoped would be beacons of beauty, expressing the noble role of Christian kingship, and the rich cultural history of his native Bavaria. These creations are now famous as some of the most notable royal residences in Europe. By the 1880s Ludwig increasingly sought to flee from political life as the strains of government began to show, and the debts from his building schemes increased and mounted beyond his capacity to pay them off. His mental fragility led on the morning of 12th June 1886 to him being sectioned and his Uncle Luitpold was declared Regent. The next evening, Ludwig was allowed to go for a walk with his therapist, Dr Gudden. 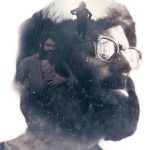 Neither returned, and both their bodies were found that night floating in the shallow waters of Lake Sternberg that night. Nobody knows what happened to them, or how they met their end. All we know is that the King’s watch stopped at 6.54 pm. Building work on Neuschwanstein Castle began in 1868. It was intended as a residence for Ludwig, and a glorious getaway in the Bavarian countryside near Füssen, yet it remained incomplete at the time of the king’s untimely death. The Castle is an extraordinary creation of astounding faux medieval whimsy. 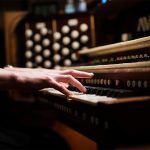 There are numerous evocations of the Germanic folk lore of the Medieval Ages which inspired Wagner’s operas, and a huge Singers’ Hall for royal dinners and entertainment. At the centre of the castle is a huge golden throne room, where the King intended to receive the homage of his visitors, embodying the effervescent glory of his royal office and vocation. The castle itself is well known as the inspiration for the Walt Disney Castle, and also featured in the film Chitty Chitty Bang Bang. The palace on the Herren Island in the Chiemsee Lake, which Ludwig built, could not be more different from Neuschwanstein. 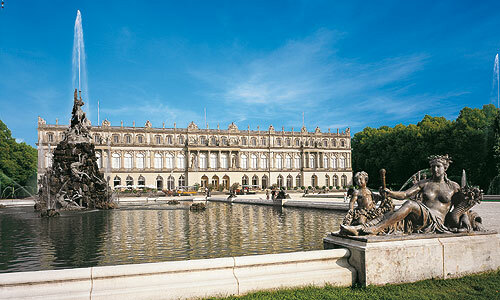 Here Ludwig recreated a Bavarian version of Versailles on an island in the middle of a lake. It was to be the highest expression of rococo art, and even grander than Louis XVI’s achievement at Versailles. The Hall of Mirrors was even longer than the original in Versailles, for example. The castle, as was the case in Neuschwanstein, remained unfinished at the time of Ludwig’s death, and he had only lived there for a total of 10 days by that point. It’s idyllic location prompt thousands of visitors to come and see the island each year. As part of our pilgrimage we will be visiting both Neuschwanstein and the Herrenchiemsee. We hope to learn more about the extraordinary life of the enigmatic Ludwig II, and marvel at the amazing artistic patrimony he bequeathed his native Bavaria. 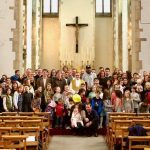 We hope also to visit the location of his death at Lake Sternberg, and to say a requiem for the repose of his soul at the chapelle expiatore built there to remember the tragic and mysterious events of the evening of 13th June 1886.